Unlike past studies, this one ties performance directly to time on screen. Discussing the state of digital advertising inevitably brings up the term “viewability.” As big spenders like P&G and Unilever attempt to resolve issues regarding media transparency and fraud, one of the most basic metrics concerns whether consumers are actually seeing ads—and what that means. A new study conducted by IPG Mediabrands’ intelligence and investment unit Magna, the IPG Media Lab, analytics company Moat and programmatic software company The Trade Desk over the past year aimed to go a bit further than previous research. 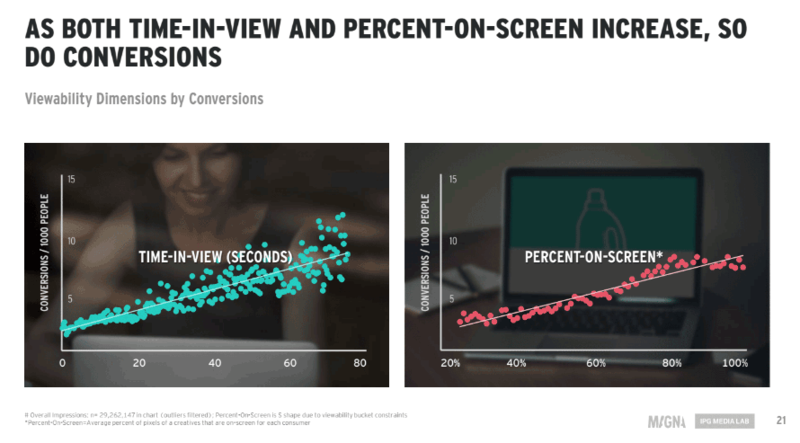 It tied the performance of a given campaign to viewability, specifically in the case of direct-response marketing and its ability to drive conversions. The most significant findings from the report hold that more viewable campaigns are also more likely to lead consumers to buy, click or register and that related standards achieve similar results, whether they were developed by the Media Rating Council or by the agencies themselves. That’s why Magna joined forces with the other groups to develop its own standard and to better understand the relationship between how viewable an ad is and how effective it is. 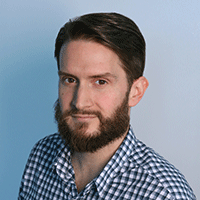 “[Viewability] is more useful in guiding and evaluating branding-focused campaigns, which are about being seen, than for campaigns focused on near-term purchases,” said IAB Tech Lab svp and general manager Dennis Buchheim. 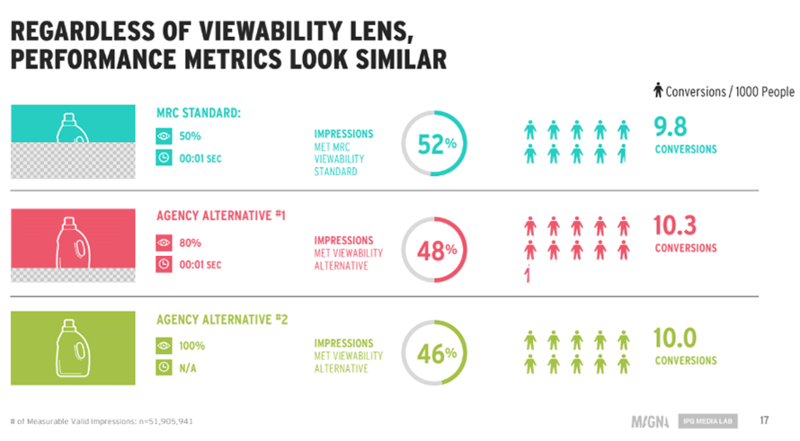 But IPG and its partners looked to connect those two variables in order to more clearly illustrate the value of pricier high-viewability ad buys in campaigns focused on getting immediate reactions from consumers. The primary purpose of the study, then, was to facilitate trust between clients and partners. 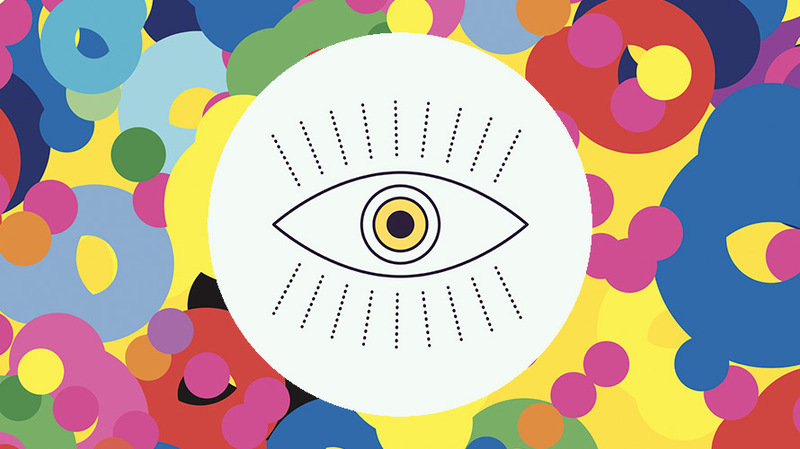 The MRC standard, which generally asserts that 50 percent or more of an ad must be visible on a screen for one second or more to count as an impression, has been a point of contention for some in the industry. IPG Mediabrands is not the only network to offer its own alternative. Over the summer, WPP’s GroupM announced stricter standards but later clarified that they did not amount to a “softening” of existing policies. The MRC executive emphasized that he primarily sees viewability standards as “a gating matter” and that other factors—chief among them high-quality creative—also play key roles in determining the success of any campaign. In short, an ad will almost certainly spend more time on a given consumer’s screen if he or she finds it compelling. As the charts above show, screen time greatly affects the likelihood of action. Still, demand for more research projects like this one is only growing as clients move to re-evaluate their marketing budgets. “Sunshine tends to be a great cure, and the more sunshine we can help shine, the more we can enable smarter decisions to be made on all sides,” Goodhart said.